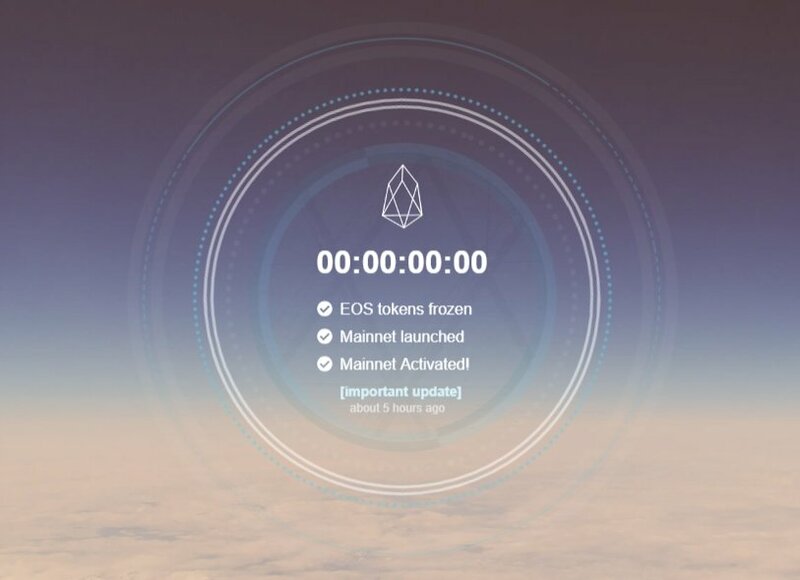 One massive eye opener for what can be achieved through the crypto-verse, was the team behind EOS as they raised over $4 billion in almost-a-year-ago coin offering. Now the network has finally gone live after days of struggle many confusions. Over 150 mil votes have been gather to conclude who will keep look-out the 5th largest blockchain platform by market capitalization. This marks the end of a very long week, perhaps most complicated that the crypto-verse has seen. The startup Block.one is strongly pushing forward the development of EOS’s software and infrastructure. Its CTO, Dan Larimer, previously created the blockchain-based financial services platform BitShares as well as Steemit, a cryptocurrency-powered publishing platform. Both supported on the delegated proof of stake which even the network uses. Block.one is the initiator of the token offering raising over $4 bln and now ensuring that the software is accessible. Everything commenced smoothly at around 17:46 UTC. This happened after a roughly a week of deliberation and testing by block producer candidates – those groups vying for one of 21 validator node spots in which they will receive rewards for verifying transactions – from all around the world. EOS mainnet plans on being the most powerful platform for dapps with superior smart contract capability to that of Ethereum. Very similar to IOTA, EOS is looking to solve existing issues that cryptos are facing right now. The developers behind the 5th leading coin believe that their tech is the solution to the famous scaling problem. The team targets to create a much faster and more efficient alternative to Ethereum. Ethereum is designed not to be only a cryptocurrency but also a platform for running blockchain-based computer programs called smart contracts. However, it is slow at processing transactions therefore EOS might have an advantage. EOS dispenses with mining in favor of allowing token holders to elect block producers. In this case, voting power corresponding to the number of tokens an individual or organization holds. That is equal to no miners. On the other hand, Vitalik Buterin noted that the network could be vulnerable to vote-buying.